September 1950. 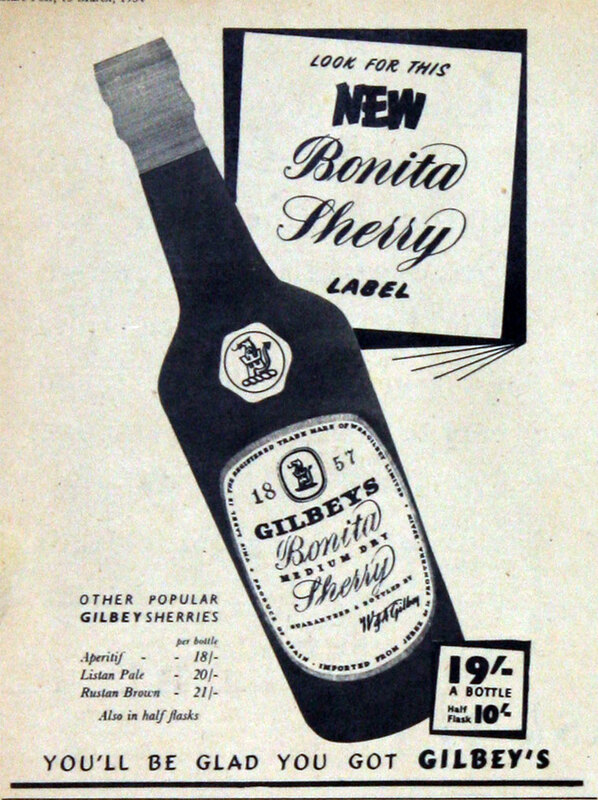 Listan Pale Sherry. 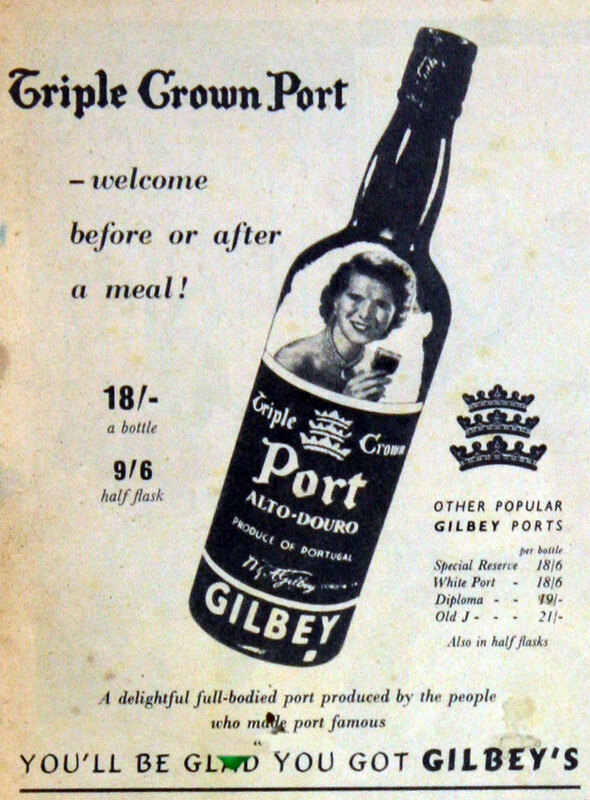 Gilbeys of Oxford Street, London. 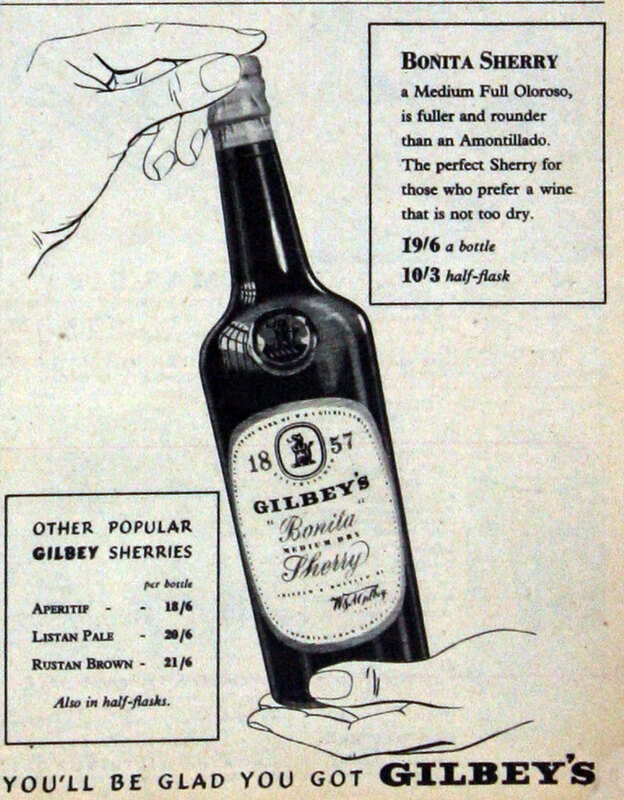 1856 Walter and Albert Gilbey returned to London after the Crimean war and on the advice of their eldest brother, Henry Gilbey, a wholesale wine-merchant, started in the retail wine and spirit trade, importing South African wines. 1857 Backed by capital obtained through Henry Gilbey, they opened a small retail business in a basement in Oxford Street, London. The Cape wines proved popular, and within three years the brothers had 20,000 customers on their books. 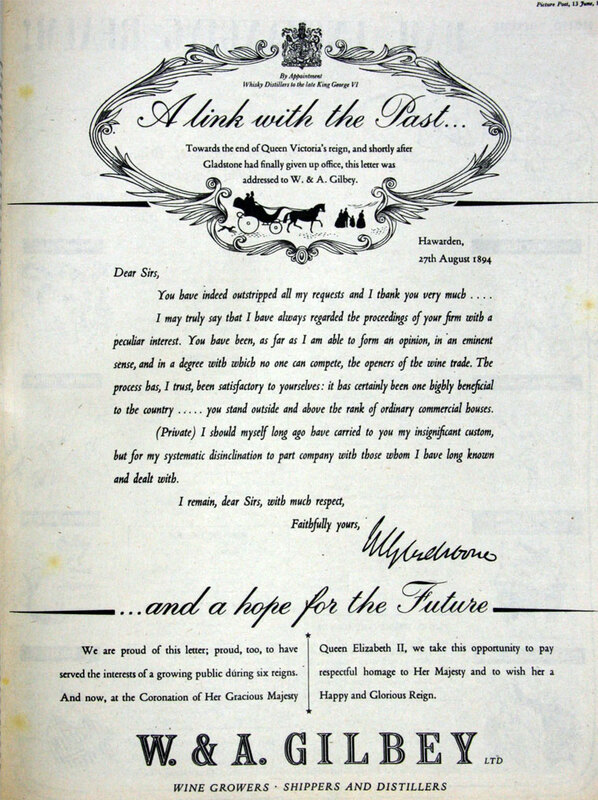 Agents were appointed throughout the UK to sell their wines to grocers shops. 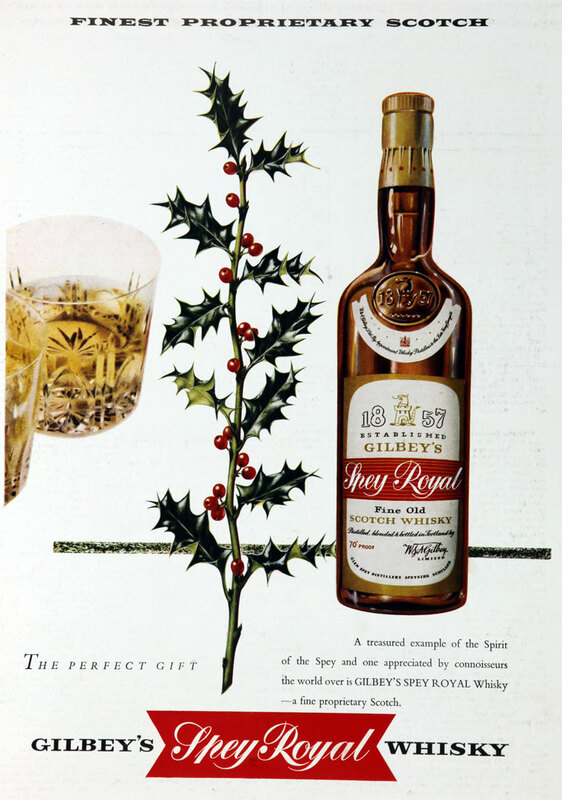 1864 The Gilbeys's business increased so rapidly that, in 1864, Henry Gilbey abandoned his own undertaking to join his brothers. 1867 The three brothers secured the old Pantheon theatre and concert hall in Oxford Street for their headquarters. 1875 The firm purchased a large claret-producing estate in Medoc, on the banks of the Gironde, and became also the proprietors of two large whisky-distilleries in Scotland. 1893 The business was converted, for family reasons, into a private limited liability company, of which Walter Gilbey, who in the same year was created a baronet, was chairman. 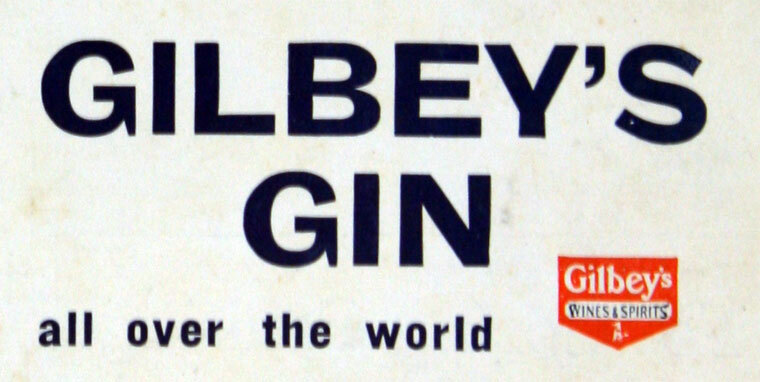 1895 The company began to distill gin and Gilbey's Gin became a well-known brand. 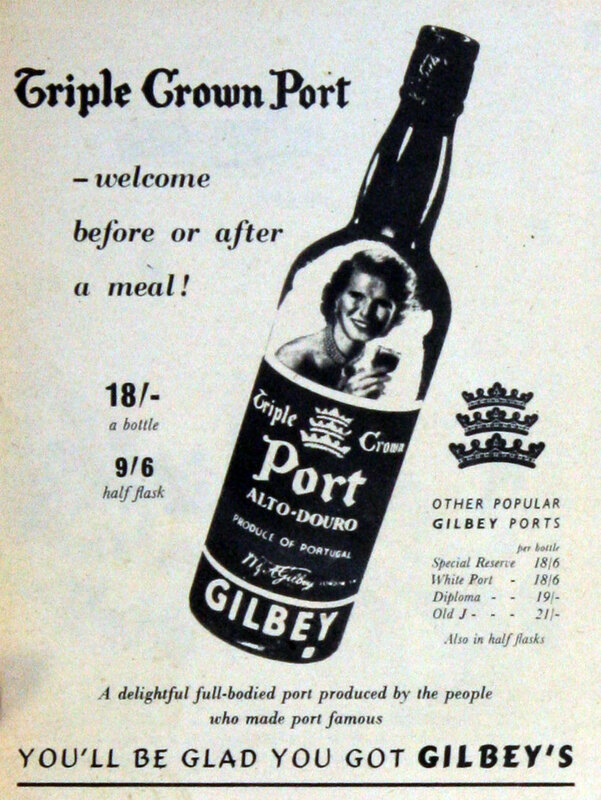 1912 An advertising campaign for Gilbey's Invalid Port made it a household name. Walter Henry, Walter Gilbey's son, became chairman of W. and A. Gilbey. 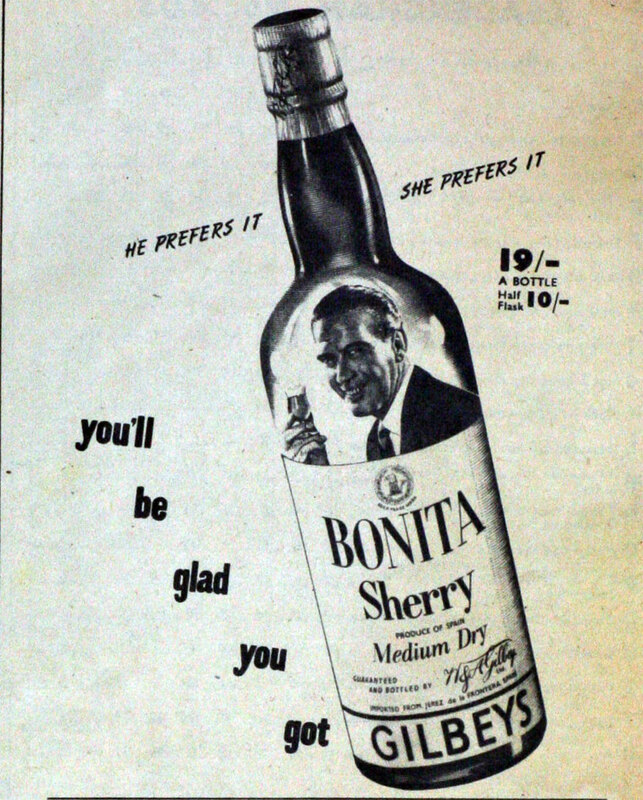 1962 The company merged with United Wine Traders and became International Distillers and Vintners. 1972 Brewers Watney Mann took over the business, and was absorbed by Grand Metropolitan the same year. 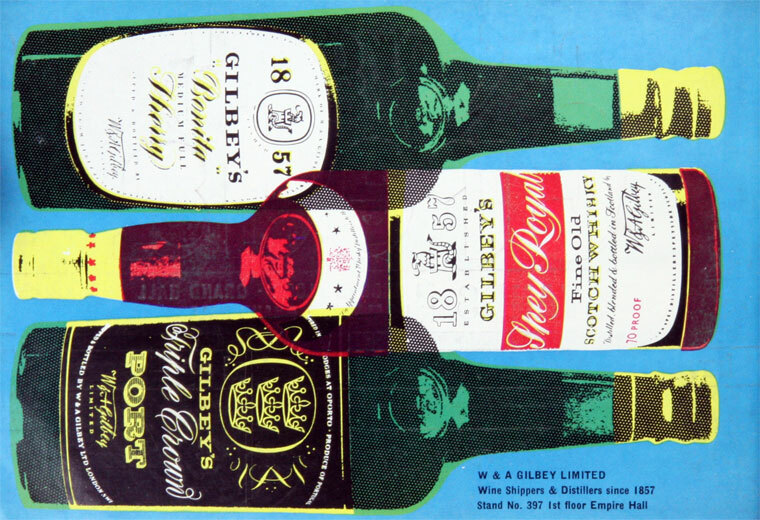 2008 The brands are now owned by Diageo, formed by the merger of Guinness and Grand Metropolitan. This page was last edited on 29 April 2013, at 20:01.